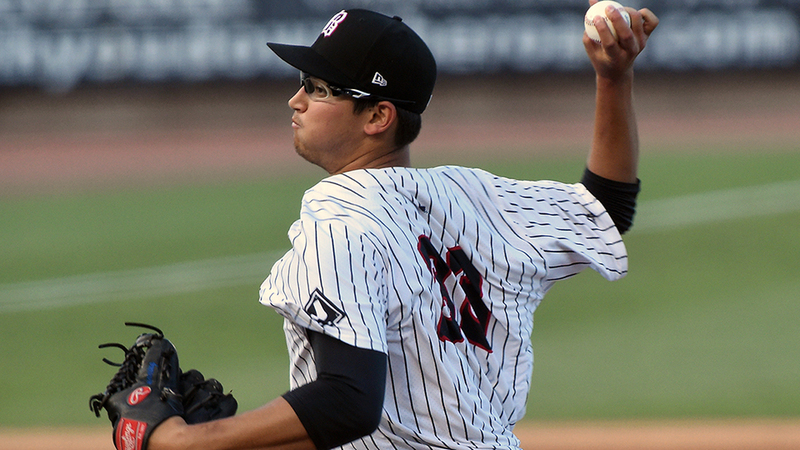 Dane Dunning avoided going under the knife last year, but he was not so lucky this time around. The sixth-ranked White Sox prospect underwent successful Tommy John surgery Monday in Pensacola, Florida. The procedure was performed by renowned specialist Dr. James Andrews. An elbow sprain cost Dunning the final two-plus months of the 2018 season, and will keep him out for at least all of 2019. Chicago general manager Rick Hahn told MLB.com on Wednesday that all treatment options were on the table. Surgery, the White Sox and Dunning decided, was ultimately the best way to proceed under the circumstances. Baseball's No. 80 overall prospect threw a few side sessions and participated in Instructional League during the fall, but entered Spring Training healthy enough to begin a throwing program. Forearm soreness caused a setback early in camp, but the right-hander had resumed the program until this week. "He progressed through his throwing program, felt a little discomfort at some point, so we immediately shut it down," Hahn told MLB.com. The 24-year-old began last season with Class A Advanced Winston-Salem, where he allowed seven earned runs over four starts (24 1/3 innings) and was quickly promoted to Double-A Birmingham. There, Dunning made 11 starts, going 5-2 with a 2.76 ERA and 69 strikeouts in 62 innings. He last pitched in a game on June 23. The 6-foot-4 hurler is a University of Florida product and was the Nationals' first round Draft pick in 2016 before being traded to the White Sox that December as part of the Adam Eaton deal. Dunning joins White Sox No. 2 prospect Michael Kopech (18th overall) on the mend from Tommy John surgery. Kopech had his procedure in September after making his Major League debut in August and is expected to be ready for the beginning of the 2020 season.